This is an overdue post from my preschooler's Costume Parade last month. She chose to be Iron Man last Halloween using her brother's old costume so I never got the chance for any DIY project for that one. 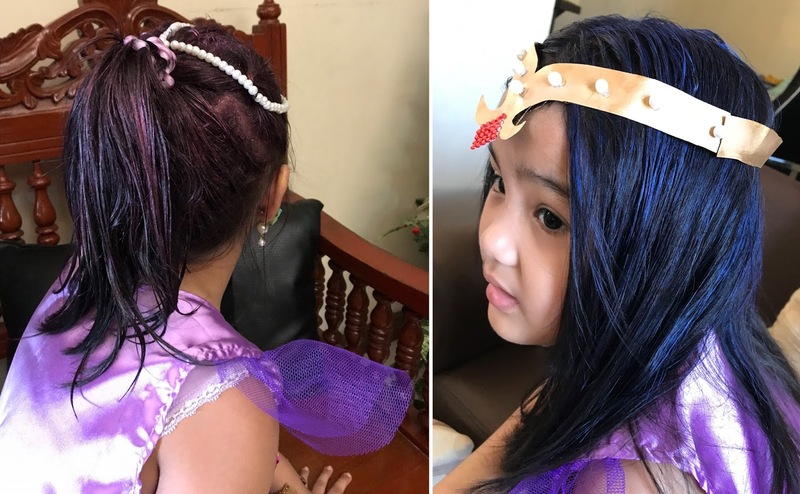 Thankfully, for the school's costume parade, she agrees to be Shimmer! An optimistic genie with pink hair. Yep, pink hair! While I never got the chance to shop for a pink wig, we just had this washable Cospray Hair Color Spray instead. 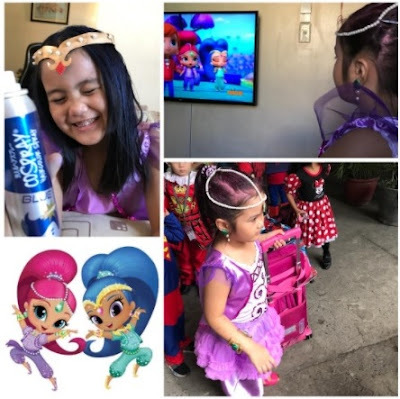 We used Cospray in metallic pink on Costume day and tried out the blue one for Shine, the courageous genie with a blue hair, the following week. Cospray Washable Hairspray in Blue and Metallic Pink. The Blue is their new packaging! This washable spray is water-based, kid-friendly, hypoallergenic and paraben-free that is why it is safe to use. And because its paraben-free, it doesn't have any strong smell of chemicals. It's actually mild scented and doesn't irritate my 4 year old daughter. She's playing on her tablet while I spray this on, and there wasn't any complain of discomfort and she's not even irritated as I did her hair. It is best to use a tissue and paper to catch and wipe the droplets as you spray. On the pink spray, I styled her hair first before spraying. Well, I figured out it is best to style your hair first to ensure visible color. My daughter has thick hair so we emptied the bottle for each look. It takes atleast 3 to 5 minutes to completely dry up and can easily wash off with shampoo and water. Overall, this product is highly recommended for you or for your little one's dress up needs. 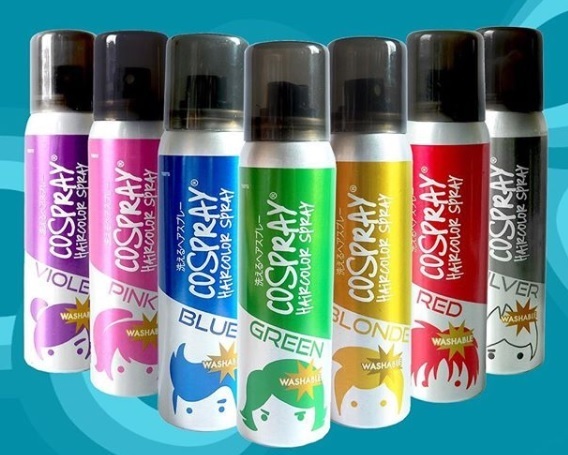 Cospray is available in 7 different colors for only 209 pesos per 75ml bottle. It is available in Beauty Bar, PCX, Landmark Dept. Store, Unimart, Makati Supermarket, Pioneer Center, Ayagold, Fishermall Dept. Store, ToysRUs and Toy Kingdom (Megamall & MOA) or you can order online at → www.cospray.myshopify.com.